March 26, 2019 — The Philippine School of Business Administration – Manila (PSBA-Manila) Disaster Risk Management Unit (DRM Unit) under the Graduate School of Business (GSB) will participate at the 2nd International Conference on “Contemporary Issues in Management and Administrative Sciences (CIMAS-2019)” to be held on March 26-28, 2019 at the Lahore College for Women University (LCWU) Main Auditorium, Lahore, Pakistan. 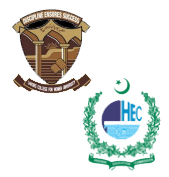 This event is organized by the Department of Management Sciences and Department of Public Administration, Lahore College for Women University, Lahore in collaboration with Higher Education Commission (HEC), Islamabad. This conference is a deliberate effort for understanding and interpreting the complex situation of management in the fields of Governance and Commerce and Business Administration, especially in the wake of the current economic and political scenario. As such, the conference will act as a specialized forum for the dissemination of thought-provoking research. The conference is expected to be a forum of communication among academicians, researchers, practitioners and policy makers. Dr. Tabassam Raza, Associate Dean GSB and Director Research and Development DRM Unit, represents both PSBA-Manila and the Quezon City Government as a Keynote Speaker during the first day, March 26, of the Conference. He is also part of the Session Chairs for the Governance and Public Management Track during the second day, March 27, of the Conference.